Established in the early 1970s, General Automotive Company (GAC), which represents Mitsubishi in the Sultanate of Oman, had gained a reputation for quality, integrity, and trust. Both customers and manufacturer partners alike commend its quality of service and operational style. Its operations include 22 branch locations throughout the country. It enjoys an approximately quarter of a billion dollars in turnover. As with many other developing and profitable companies, challenges are always present. GAC has a huge team of 714 staff, dispersed over 310,000 square kilometres. As a result, it struggles with developing its core business proposition through such a widespread business structure. The leadership at GAC knew it had overlooked one of the most important aspects of sustaining a successful enterprise: namely a strong organizational culture. They began to look for new ways to increase levels of staff engagement and customer service. They wanted a solid culture that would differentiate its business from competitors. This would, in turn they reasoned, further drive performance and profitability. The CCM Consultancy team met with GAC’s Senior Management team to discuss the matter. We had been dealing with GAC for some time now on other projects so this project would be a continuation of a solid existing relationship. There was a sense of excitement in the room at the first meeting. Senior Management were happy they were finally tackling this issue. They had confidence that CCM Consultancy could draw up a solution. They naively thought that we would simply tell staff what to do and teach them how to do it. It did not work out that way. The room fell silent. Some people attempted to answer the question yet could not come up with a clear answer. At this moment everyone realized how deep the challenge was. To get to the desired culture it needed a transformation initiative to make it happen. It was not going to be just a “training program”. The leadership team became anxious. They were high performers, and they wanted to be able to answer this question in a definitive manner. The General Manager at the time, Mark, assembled a team that would assist CCM Consultancy with answering these questions. Marketing, HR, and other departments would help our consultants finally define the culture at the group. Following that, CCM Consultancy would train everyone on how to relate to it…Again, It did not quite work that way. Service – How does GAC get everyone to speak the same customer-service language? How are staff engaged and inspired to provide exceptional service, once exceptional service is defined? Teamwork – How can GAC compensate for its lack of professional and relational skills in the organization? How do we get everyone to think as one team, one heart? Behavior – Where do we start? What defines our behaviors, and how do we get those behaviors to be sustainable? One of the greatest moments in working on initiatives of this type is watching a client experience an Aha moment. This happens when both CCM Consultancy and our clients pour their hearts and soul into the goal of positive change. Aha moments mean the client has taken a leap. And they never look back! One such Aha moment came after several long meetings. In these meetings, a long-term culture transformation strategy was hammered out. At that moment we looked at Mark to see the delight and excitement that comes with a child opening a beautifully wrapped present. We could see every part of him tingling with the sensation that this approach would indeed make a huge difference. The approach would set them apart from their competition. At the same time, it would bring them together as one culture. The Aha was a realization that a Cultural Heartbeat for the group had been defined. And it was then that the name of the initiative was agreed on: The Mitsubishi Heartbeat. Together, GAC and CCM Consultancy co-created an experience and a future they would both feel proud of. Intense discussions preceded every step of the way. We provided practical and pragmatic steps that would allow everyone to remain engaged. The first part of the journey was built around three core culture change Modules. 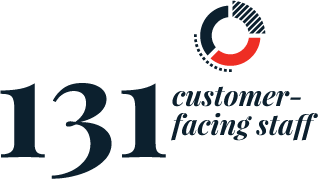 They would be the first phase in this journey and communicated in both English and Arabic to 131 customer-facing staff. The focus was on the After-Sales Team. Besides the culture change Modules, our team of consultants coached the team leading the initiative inside the group. These coaching sessions gave everyone an opportunity to put his or her learning into action. They shared best practice ideas with their colleagues in the session. More importantly, recognition went to the customer-facing staff for their efforts. What are rituals in a transformation process of this type? CCM Consultancy defined them as what happens after the new way of doing things was introduced. Set practices, called Business Rituals, were created to focus on follow-up. We wanted to make sure the after-sales team lived the newly defined values. This meant they had to exercise their beliefs every day, be it at the office or in their personal time. CCM Consultancy set up a dedicated email as well as phone lines for GAC staff. Here the participants would feed back the Rituals they were practicing. We recorded the events and collated the data on a weekly basis. At the end of each month, we selected three Heartbeat Winners based on their involvement, interaction with internal and external customers, and the frequency of engagement. The group’s senior management team recognized Heartbeat Winners during an awards ceremony. The winners received a trophy and a certificate. By the end of 2014, GAC had recognized 27 Heartbeat Winners. Several were fast-tracked into more senior positions. We also helped set up a support framework within the group to provide clear communication to every member. This ensured that the Mitsubishi Heartbeat would resonate loudly within the entire group. Thirteen communication devices, published in both English and Arabic were created. 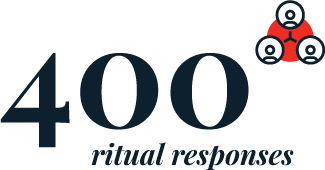 GAC’s staff currently practices almost four hundred Ritual responses. These rituals define the exceptional personalized service now offered to customers and colleagues. Practice of these Rituals has brought about positive interactions within the group across the entire country. Employee engagement, business performance, profitability, and customer service levels are still on the rise. Moments of truth, those moments when customers evaluate the service they are receiving, are now tracked. Lifetime memories from these Moments of Truth have been embedded in the group. And that is what a solid Heartbeat is for. Since the launch and application of Mitsubishi Heartbeat initiative, Mark, the General Manager of the organization, has been promoted to Group General Manager of Zubair Automotive Group. His efforts on this initiative earned him a well-deserved promotion. Having had the pleasure of working with CCM Consultancy for over 3 years, I cannot think of another agency that would have delivered this cultural and behavioral change program in a more considered, professional and effective manner, supporting the training elements with a strong follow up to provide an ideal change solution for our business. From the initial stages of understanding our specific business needs and requirement, then through discussions in helping align these with our corporate goals and objectives, at every interaction, CCM Consultancy has proven to be consummate professionals who know their subject matter well.